2,000 enthusiasts experienced the sights and sounds of the inaugural Australian Motorcycle Expo Gold Coast last week (Friday February 20-Sunday February 22). The first-run event eclipsed the Brisbane (2007) attendance figures by an incredible margin, with organisers Exhibitions and Trade Fairs reporting a 65% increase in visitors. Exhibits, displays and action demonstrations made full use of the Gold Coast Convention and Exhibition Centre’s interior and exterior facilities, with constant crowds adding to the family-friendly atmosphere. Occasional inclement weather couldn’t dampen showgoers spirits – and neither could an equally gloomy economic climate – exhibitors reported record interest in new motorcycles, scooters, ATVs and PWCs plus products, accessories and services. Event Manager Mark Petersen said the Expo had the potential to become one of the Gold Coast’s premier events after an exceptionally successful staging last week. “The venue’s extension allowed us to expand on exhibition space and demonstration areas, and the locality made the various test ride options a favourite with visitors. The Yamaha Action Arena gave visitors a chance to check out some high-flying freestyle motocross from the Showtime FMX team, as well as the antics of the Brown’s Grafix mini moto riders. The grassy banks provided a perfect view of the Yamaha Water Zone where a host of renowned PWC pilots put on regular and spectacular shows of skill and precision. Dylan Robb took out top honours in the East Coast Custom Australian Custom Bike Championships, with his entry from Melbourne capturing the judges' attention as national champion. Brendon ‘BJ’ Kelly continued his winning ways in the National Pogo Championships, presented by Motostik and Dirt Action, capping off his routine with a crowd-pleasing backflip that earnt him first prize and a trip to the Las Vegas Supercross in May. A local winner was drawn in the $15,000 Honda Voucher promotion, with 15-year-old Daniel Notley-Cole from the Gold Coast unable to believe his luck when his entry was announced. He now has the envious task of choosing Honda products to the value of $15,000, and said he was eyeing off a new dirt bike. Dates for the 2010 event are expected to be confirmed shortly, with more details to be available online at www.australianmotorcycleexpo.com.au. Now the Scarabeo 200 is better value than ever. Originally released at a recommended retail price of $5990, the newly positioned price is a very competitive $5490 including GST. 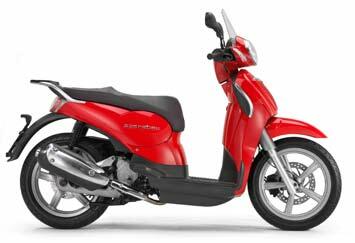 Available in Black, Venice White and Aprilia Red, the Scarabeo 200 has the excellent cross city performance, great brakes and reassuring handling with all the features of bigger, more expensive scooters. Giuseppe Ricciuti, the father of Scarabeo, is the man behind this latest model. The Scarabeo 200 is beautifully styled with flowing lines and practical features galore. Small enough to nip through the most chaotic traffic yet big enough to go anywhere your heart desires, the Scarabeo also offers advanced ergonomics and unrivalled functionality to ensure that you always ride in comfort and style. The Scarabeo 200 delivers an impressive 14 kW (19 HP) at 8250 rpm, with generous torque (17 Nm at 7500 rpm), for sporty acceleration and excellent fuel economy. Yamaha Europe and NBA Join Forces for Exciting New Scooter Range. Yamaha Motor Europe is proud to announce the start of a fantastic new partnership with the National Basketball Association (NBA) – North America’s premier professional men’s basketball league. The influence and impact of the NBA now extends far beyond US shores thanks to the growing presence in the NBA of European stars like the LA Lakers’ Pau Gasol (Spain), the San Antonio Spurs’ Tony Parker (France), and the Dallas Mavericks’ Dirk Nowitzki (Germany). Young Europeans regularly watch NBA basketball and understand that the NBA logo stands for dynamic, ultra-cool action at the highest level of international sporting endeavour. These young Europeans also recognise what Yamaha stands for: dynamic, cool scooters operating at the highest level of engineering excellence. For this reason Yamaha has decided to commemorate its exciting new partnership with the launch of an equally exciting new scooter, the BW’s NBA. The BW’s NBA is based on one of the world’s best-known automatic scooters, the BW’s Original. 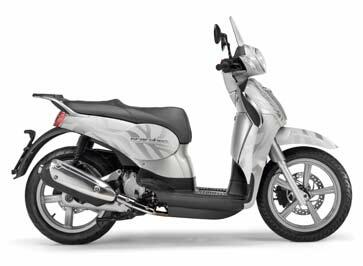 The ruggedly built, fully-automatic 50cc BW’s has become a byword for urban independence among young and first-time European riders. Both the BW’s and its new brother the BW’s NBA are do-anything, go-anywhere scooters that anyone can ride and enjoy – a fact that’s well understood by thousands of young riders around the world. To anyone looking for an easy introduction to the world of scootering, the BWs and BWs NBA represent an ideal solution. The NBA is a showcase for some of the world’s most outstanding athletes, with NBA players achieving legendary status and recognition around the globe. The BW’s NBA takes the BW’s well-deserved popularity and reputation for reliable, low-cost fun and now adds a huge helping of street credibility through this new exciting partnership with the NBA. Every BW’s NBA comes with a genuine NBA logo on the front engine cover and two sets of top-quality logo sets for six leading NBA teams: Boston Celtics, Chicago Bulls, Dallas Mavericks, Los Angeles Lakers, New York Knicks and San Antonio Spurs. BW’s NBA owners can customise their scooter with the logo of their favourite team and then emphasise their allegiance with the ‘number 1’ stickers that are also part of the graphics set. For ultimate personalisation, owners can apply the graphics themselves, or they can simply let the dealer apply them. The BW’s NBA two-tone dual seat is special too, with black stitching, a rubberised Yamaha logo tag and – a perfect finishing touch – the black embroidered ‘NBA’ legend on the rear panel. The result is what could well be the coolest scooter ever to go on general sale. ‘Speaking about the partnership, Yamaha Motor Europe’s Division Manager for Powered Two-Wheel Sales/Marketing, Arno Sunnotel said: ‘This is a great deal for both Yamaha and the NBA. It will certainly help to further extend the profile of the NBA across Europe, while of course Yamaha will benefit from its connection with one of the world’s most exciting and glamorous sports. The kind of go-ahead and globally aware young people who form the BWs customer base in Europe are exactly the same young people who enjoy NBA basketball. This partnership is a perfect fit for both our operations. The first BW’s NBA scooters will go on sale in European Yamaha dealers from May 2009 – and there’s sure to be a heavy demand for the BW’s NBA uniquely personalised brand of cool scootering fun. 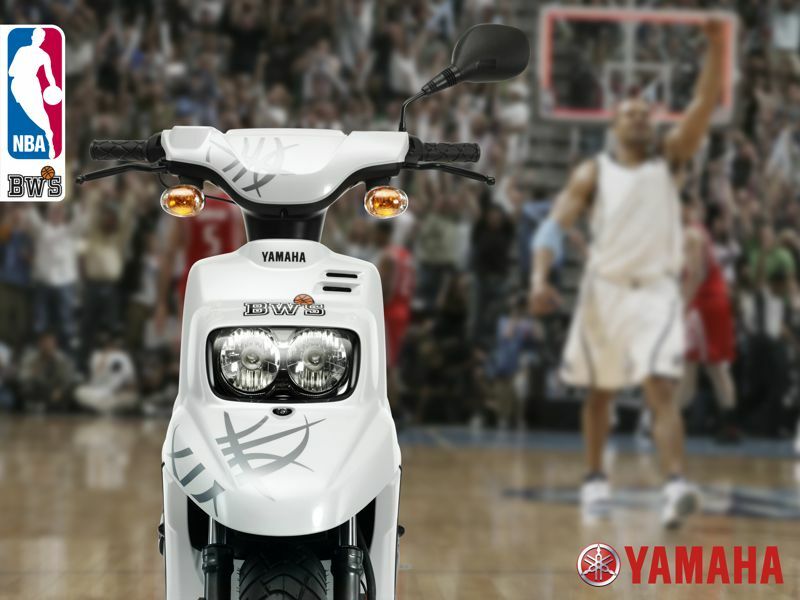 Filed under: Yamaha Europe and NBA Join Forces for Exciting New Scooter Range. Motorcycle Importers Sydney, Australia – February 17th, 2009 – Benelli Q.J. srl, manufacturer of premium Italian sports motorcycles and scooters, has confirmed the appointment of Motorsport Importers as exclusive distributor for Australia. “Motorsport Importers will continue to develop the Benelli brand in Australia and build on the foundations laid by Stoney Creek Powersports” said Craig Moodley, Director, Motorsport Importers. “The Benelli brand is synonymous with it’s 900cc and 1130 cc torquey triples, but expect to see exciting models in new categories including off road and mid range later in 2009. 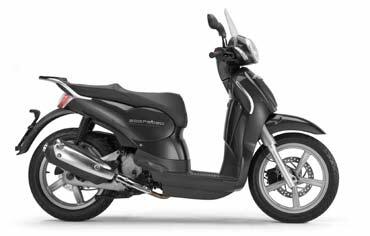 Benelli scooters have been well accepted and larger capacity 250cc models will also be released later in the year” Moodley added. Daiwei, General Manager of Export based in Pesaro Italy, commented that Motorsport Importers have been appointed based on its technical abilities and commitment to providing the highest level of after sales support. Motorsport Importers will continue to provide Benelli spares and warranty support via its established dealer network. Owners should contact their nearest Benelli dealer for more information. motorcycles has opened its workshop doors to the public. National Manager of John Sample Automotive. The new facility is incorporated into the John Sample Automotive complex in Revesby, Sydney. technical@aprilia.com.au or technical@motoguzzi.com.au or phone 02 9914 8758.